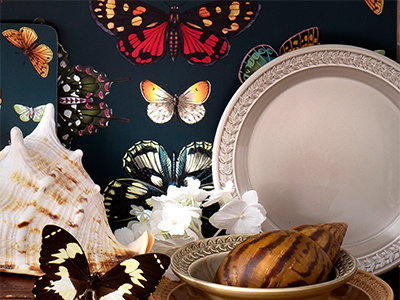 A timeless classic, Botanic Garden features beautiful floral motifs and surprising butterflies. Make everyday occasions special, Botanic Garden brings enjoyment into our busy modern day lifestyles. 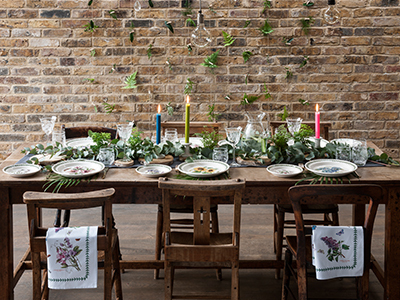 Botanic Garden contains a wide range of pieces, for use in and around the home. Embrace the natural magic, and discover your very own secret garden. This product is designed in our studios in Stoke on Trent, England. 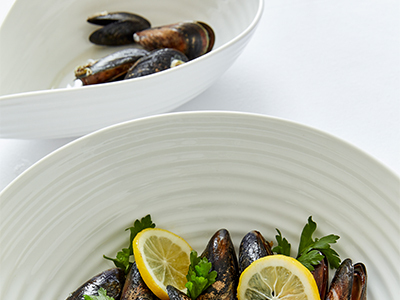 https://www.portmeirion.co.uk/botanic-garden-handled-serving-tray 15550 Botanic Garden Handled Serving Tray https://www.portmeirion.co.uk/media/catalog/product/b/g/bgjcsr006.jpg 11.51 24.5 GBP InStock /Offers/Shop all Offers /Dining/Botanic Garden/Serving Pieces /Offers/Botanic Garden /Dining/Shop All Dining Collections /2019 March Outlet Sale/Shop all sale /2019 March Outlet Sale/Gift Offers This product is designed in our studios in Stoke on Trent, England. A timeless classic, Botanic Garden features beautiful floral motifs and surprising butterflies. Make everyday occasions special, Botanic Garden brings enjoyment into our busy modern day lifestyles. 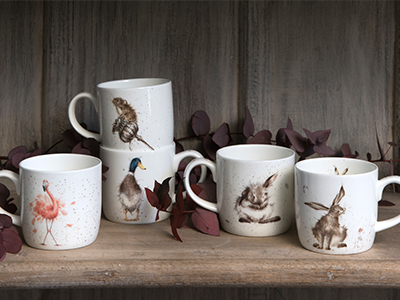 Botanic Garden contains a wide range of pieces, for use in and around the home.